Osborne Clarke asked for a distinctive advertising campaign to recruit partners for their modern law firm incorporating their new brand guidelines. The ads reflect their forward thinking attitude by using illustrations by Peter Grundy arranged in a dynamic composition. Different elements and colours emphasize the various sectors Osborne Clarke works within. 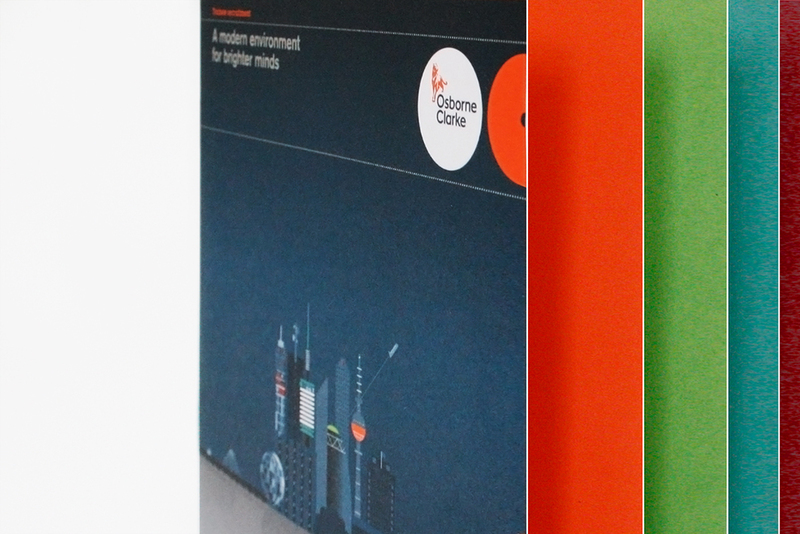 Osborne Clarke, a law firm with clients such as Facebook and Nintendo, asked for a contemporary graduate campaign which incorporates their new brand guidelines. The idea was to create and build a city from illustrations by Peter Grundy (a key part of Osborne Clarke's brand image). 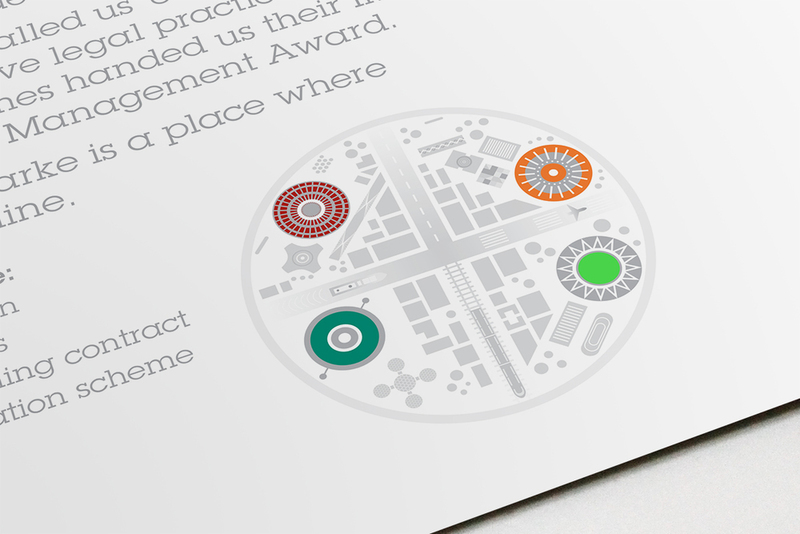 I created 3D scenarios to represent the various angles of their business, displayed in a boutique fold out brochure. The design successfully shows off the modern world of Osborne Clarke and the employees within it, making it a piece which it's audience can directly relate to.